Get on board! Northwest Wine Shuttle is ready to take wine enthusiasts tasting in a convenient and ecologically sound way. NW Wine Shuttle, the region's first hop-on, hop-off wine tasting experience, announced its grand opening on May 12. NW Wine shuttle combines an interactive itinerary with simplified booking and eco-friendly, trackable transportation to deliver a modern and convenient new way to explore Oregon wine country. NW Wine Shuttle's Dundee Hills route includes 13 of the world-class wine region's top tasting rooms. The shuttle's curated route is sure to fit everyone's taste. In fact, shuttle guests are encouraged to visit NWWineShuttle.com and customize their experience, selecting from an interactive list of wineries to create an itinerary that perfectly matches their tastes and desires. The best part: if they change their mind while en route, they can hop off wherever they'd like. n Looking for Pinot Noir with stunning views? Select White Rose, Vista Hills, Archery Summit, and Domaine Serene. n Prefer bold reds and cozy tasting rooms? Visit Remy Wines, Tertulia Cellars, and Cougar Crest. n Want to relax outside with a crisp white wine? Choose Durant Vineyards, Hyland Estates, and Stoller Family Estate. n Craving something outside the box? Spend some time visiting the tasting rooms at Inn at Red Hills, featuring wine from five different AVAs in Oregon and Eastern Washington. With NW Wine Shuttle, consumers can design and book a completely personalized day in the wine country from a computer or mobile phone — with seven hours of hired transportation. Plus, like Uber or Lyft, customers are able to track their shuttle right from their phone, so they can finish up their wine and hop on whenever ready. NW Wine Shuttle also has an eye on the future, with plans to deliver real-time information to customers while en route. Thanks to its partnership with ecoShuttle, NW Wine Shuttle is proud to be an eco-friendly service, with all vehicles running on renewable diesel fuel. EcoShuttle's expansive fleet makes it possible to scale seats based on wine shuttle demand. This new wine tasting model will reduce vehicles on local roads as well as congestion in tasting room parking lots, which helps route partners operate more efficiently. With just two eco-friendly buses, NW Wine Shuttle can host 450+ winery visits, eliminating up to 75 cars from the road in a single day. 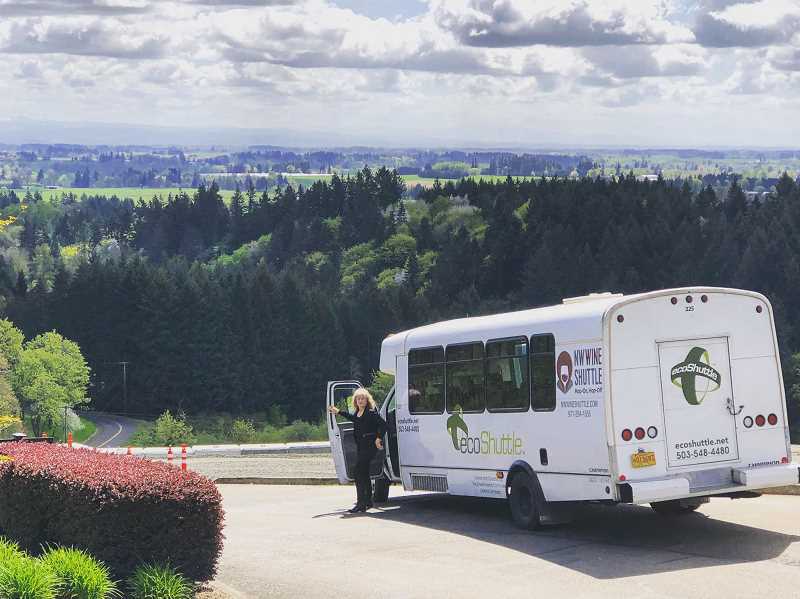 With convenient pickup locations that span from downtown Portland to McMinnville, NW Wine Shuttle strives to offer locals and tourists a safe alternative to driving themselves through wine country. By riding the shuttle, everyone can enjoy the wine tasting experience with peace of mind. NW Wine Shuttle's one day pass is $69.99, which is approximately 30 percent less than other tour options for seven hours of wine tasting. To learn more visit NWWineShuttle.com.